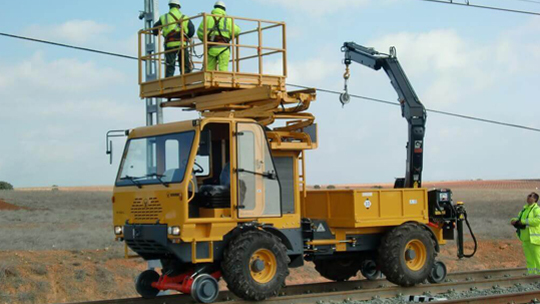 Introducing the UROMAC T-RAIL and H-RAIL, Australia’s leading purpose-built rail maintenance equipment. 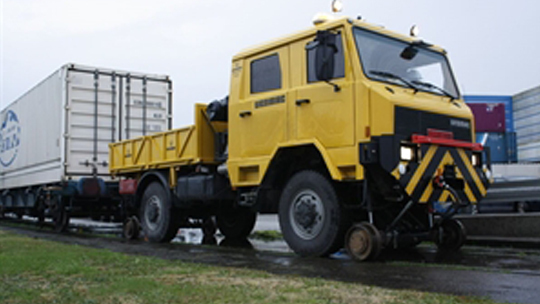 Unlike other road rail vehicles, the UROMAC T-RAIL has been specifically designed, engineered and manufactured for purpose. T-RAIL boasts excellent performance on tracks thanks to its narrow chassis which is ideal for railway and tunnel gauges. 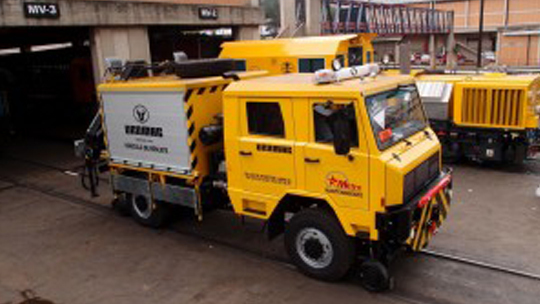 Unlike other road rail vehicles, the UROMAC T-RAIL has been specifically designed, engineered and manufactured for purpose. T-RAIL boasts excellent performance on tracks thanks to its narrow chassis which is ideal for railway and tunnel gauges. T-RAIL offers 100% off road capacity to circulate on rough terrains, quagmires, or sand offering continuous traction. 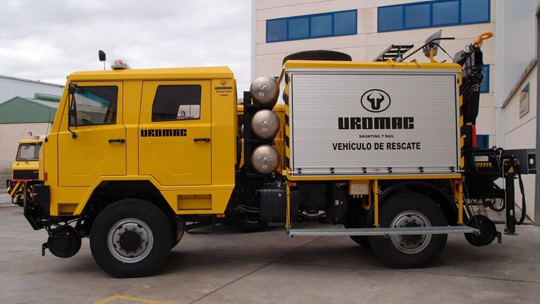 Equipped with a 250 HP engine, UROMAC T-RAIL can tow wagons of up to 272 or 544 tonnes, depending on the model. 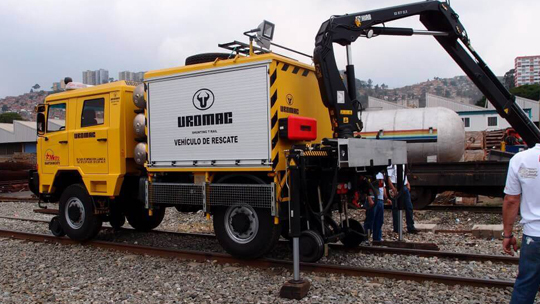 UROMAC road rail vehicles are ideal for rail maintenance, construction and work on sites surrounding rail tracks. 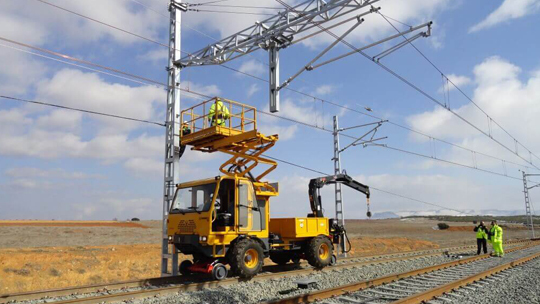 The UROMAC H-RAIL is the perfect solution for rail maintenance jobs involving overhead lines and track inspection. This equipment is adaptable to all track gauges, reducing the cost and increasing efficiency. 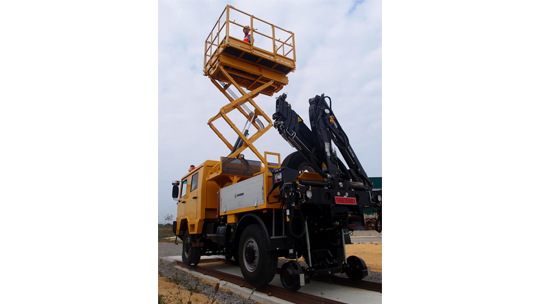 It has a hydrostatic transmission and 4 x 4 traction to bring smooth on-track driving and increase safety when working from the platform. 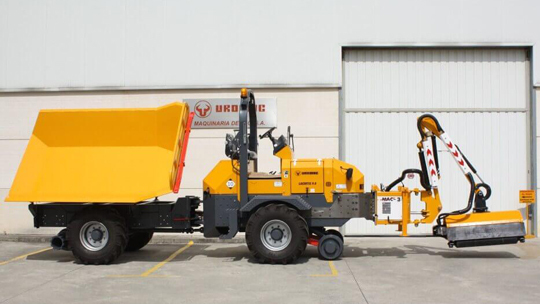 The articulated chassis can be blocked to prevent swinging working at height. It has a scissor lift, loader crane and electric generator, and easy access to the track so there’s no need to go to a level crossing.